The Queen's Orchard in Greenwich Park opened yesterday after being lovingly restored with the inclusion of heritage fruit trees, new gates, pathways and ponds. 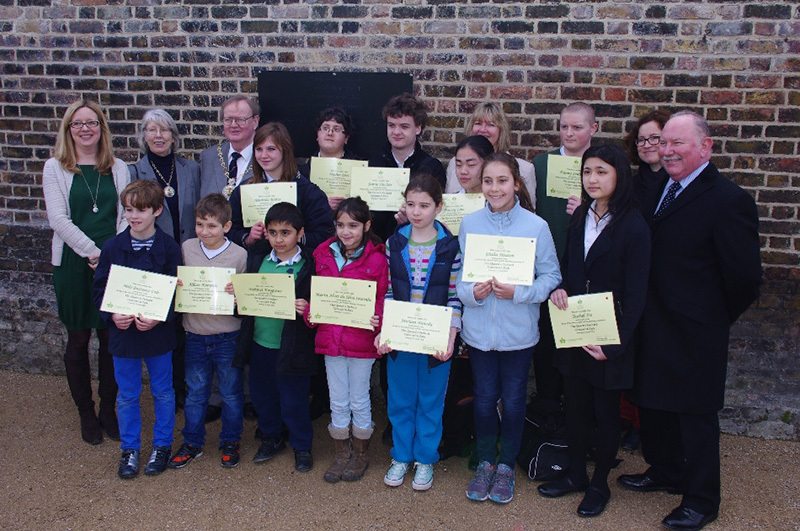 Thanks to the help of local volunteers, schools and members of the Greenwich Park Friends, the Orchard - which dates back to the 17th century - features a whole host of new attractions for park visitors to enjoy. Managed by The Royal Parks, the restoration work to the Orchard contains local influences throughout, with local artist Heather Burrell, along with pupils from The John Roan Secondary and Meridian Primary Schools and the Friends of Greenwich Park designing the single metal decorative gate, which contains the name of the Orchard, and the well covering found just inside the entrance. Dating back to the 1500's the heritage fruit trees, which were planted by volunteers in 2011 and 2013, include: apples, pears, cherries, plums, peaches, apricot, nectarine, medlar and quince. During 2012, pathways were restored, raised planting beds using timber and brick were installed, plus two ponds, a formal pond at the centre of the vegetable area and an informal pond by the fruit tree meadow. During 2012 The Queen's Orchard volunteers working with The Royal Parks, cultivated the beds, planted and tended a variety of vegetable and flowers. "It is such a pleasure to be here today and to open this beautiful Orchard. "I am taken aback by the stunning and intricate detail, especially the new decorative gate - it really adds to the overall look of the Orchard. "This new addition really enhances Greenwich Park and I hope all who visit agree." "The Queen's Orchard has never looked so good and I'm very proud to have it as part of Greenwich Park. "I'd like to thank all of our local residents, schools and volunteers for their support and help to get the Orchard looking the way it does today. "I hope that park visitors will appreciate this new attraction and enjoy it for years to come." The Orchard's name was found on records dating back 1693 and has been incorporated into the new decorative gate. 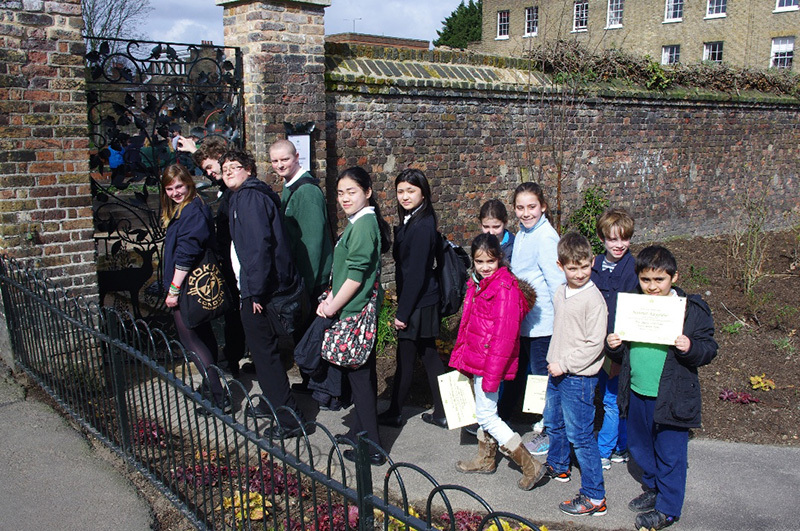 "The gate design that the pupils produced is fantastic and they should be very proud of their achievements. 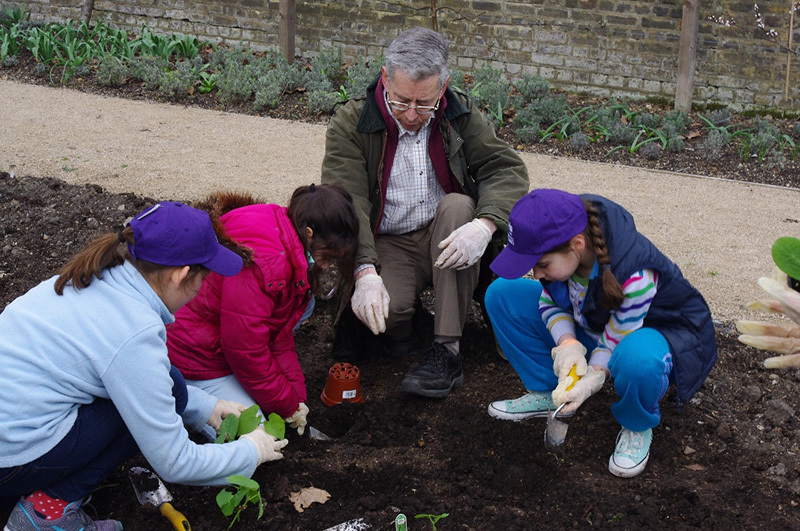 I know they had a lot of fun taking part and learning about the parks and nature, hopefully some of that knowledge will inspire them to take up horticulture in the future." "It has been such a great project for us to be involved in and I'm very proud of what the children have achieved. The pupils really enjoyed taking part in the workshops where they learnt about ecology and wildlife whilst being creative with their ideas for the decorative gate." The Orchard will be open to the public on Sundays from 1.00pm - 3.00pm starting 21st April.